These issues, on average, have cost the organization over $1 million over a 5 year time period. 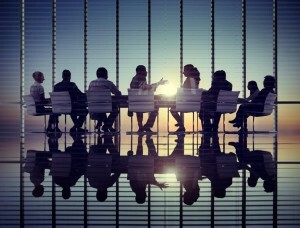 A new CEO within the organization, as well as a number of new Board of Director members, believed that a focus on cross-functional collaboration will not only translate to significant savings for the organization, but will also enable for improved competition, increased retention of top employees, as well as better meeting the customer needs. In this three part case study, we’ll share how Abudi Consulting Group worked with the client to carefully launch an initiative that would enable for increased cross-functional collaboration. What kinds of collaborations are happening in the organization? How effectively are employees solving problems and making decisions? Is continuous improvement happening within the organization? Is knowledge being shared and how is knowledge being shared as well as by whom is it being shared? The goal would be considered successful when 80% of the organization was regularly collaborating to achieve short- and long-term goals. The goal would be achieved without 16 months of project launch. There were a number of initiatives starting up that would enable for collaboration. The initiative was to start with a communication to the entire organization from the CEO highlighting this as a key initiative for the organization. The focus for this initial communication was on the why of the initiative with a focus on the benefit to the organization as well as each individual. The CEO highlighted three specific stories of situations where collaboration would have enabled for a more effective end result. In order not to appear to be highlighting specific individuals, the example stories were kept at a very high level overall. The initial communication was sent via email, but was followed up by department meetings led by the department head. All meetings were held the week the communication was sent. Additionally, to ensure that the message was well-received, the CEO held Q&A sessions via a virtual platform to further respond to questions about the initiative. Additionally, each of these Q&A sessions were recorded and posted on the internal website to enable anyone in the organization to review a session and learn more about the initiative. Posters in the hallways and offices of each of the company’s locations shared information about the value of collaboration.